Here is the penultimate chapter of "Magnolia". This chapter covers Sui's birth and childhood and explains the rumor Robert confronted Sui with at the tea party. Sui's story hurt my heart and makes me question the lies parents tell their children. But in the end, I think there are circumstances that are best hidden until children are grown. Anyhow... all is forgiven, Sui. I understand you're crazy possessive ways now. This chapter also begins the resolution of Nagi x Ayato. I think Nagi x Ayato fans will be okay with how the situation is dealt with in this chapter and the final chapter. 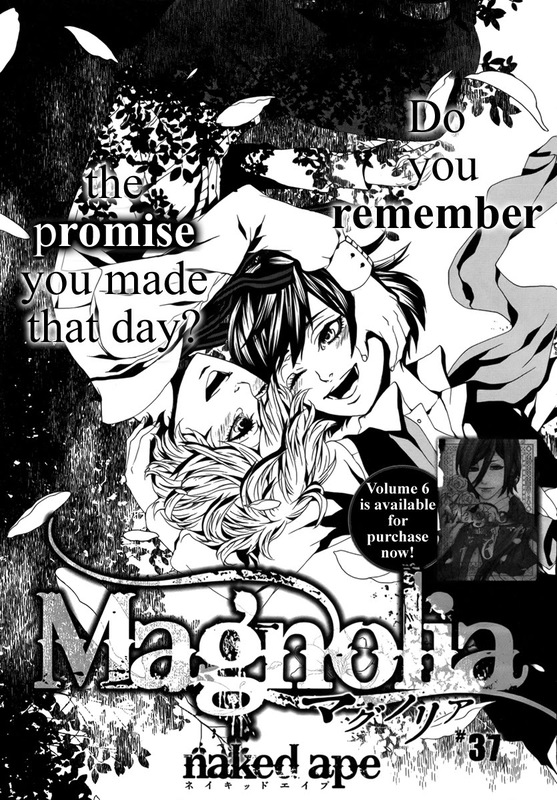 Next up will be the final chapter of "Magnolia" this weekend, followed by "Kanojo ni Naru Hi -Another" Chapter 2. New Items Add to the Crimson Flowers Store!